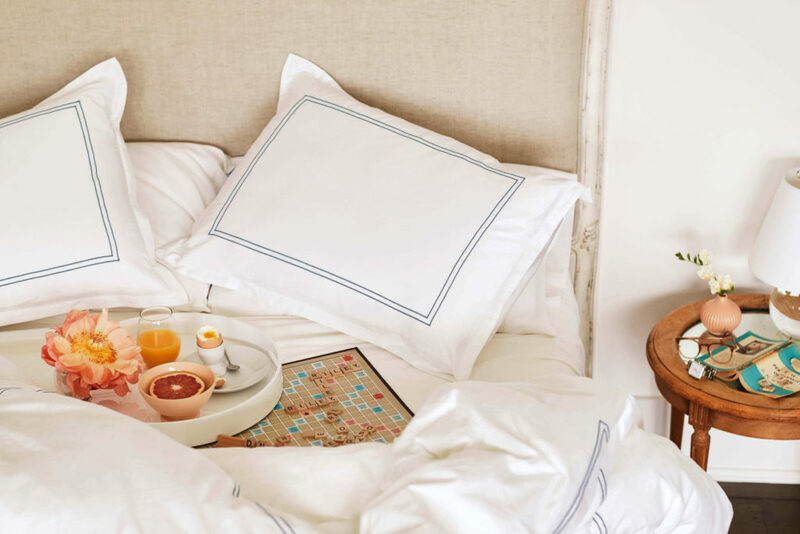 Riley Bedding launched online this May with an assortment of bedding accessories, including down pillows, comforters, duvet covers, shams and sheets (both percale and sateen). These goods are crafted in family-owned textile mills in Portugal, where high-quality materials meet a centuries-old heritage of weaving. The result is a luxurious collection meant to evoke “The Life of Riley,” a phrase made popular in the early 20th century to describe someone who had an easy and carefree life. Here, the term not only references the quality of the brand’s products, but also gives a wink to its mission to not take itself too seriously. FAQ: What are the Best Sheets for Memory Foam Mattresses? To make the buying experience even more personal for shoppers, Riley will also monogram any of its products for a finishing touch that’s both playful and stylish. Additionally, customers can participate in the brand’s Home Lie On Program, wherein they’ll receive two sheet sets to try out for a small $5 fee. In case you end up purchasing the sheets but want to send them back after all, the company also has a 60 day return policy. And while the brand rollout is focusing on Riley’s whimsy and approachability, it’s also making sure to emphasize the bedding company’s commitment to doing good. As part of its “Blanket the City” program, Riley will donate a blanket to a homeless shelter for every purchase over $300. Featured image provided courtesy of Riley Bedding.